Five years after the demise of Nashville's infamous "Tent City," we see the emergence of a tiny house solution! Tent City, an informal refuge to hundreds of unhoused people over the course of several decades, was flooded and condemned in the Summer of 2010. After the flood, I posted photos documenting the ruins of Tent City, and wrote about how efforts to form a legal camp floundered. It became the focus of one of the chapters of my Tent City Urbanism book, and is where the top picture on the cover of the book comes from. It was also the focus of a documentary you may have seen on Netflix, Tent City USA. Now, 6 tiny houses have been placed on a lot just a couple blocks west of Tent City once stood off Hermitage Ave. 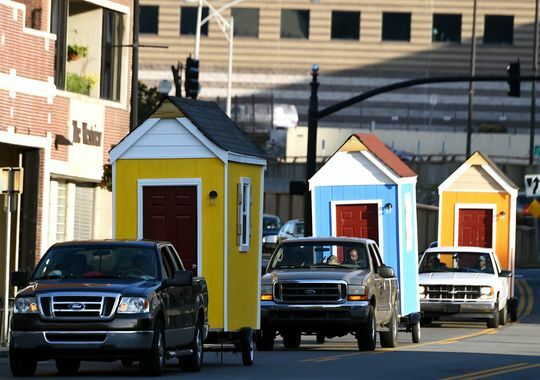 The tiny houses were paraded down the street to their destination adjacent to Green Street Church, creating quite the spectacle. The church has been allowing people to camp on their property under what they call "tent ministry," despite being informed by the city that they were in violation of various codes and asked to stop. Instead they decided to build tiny homes, each at 60 square feet, wired for electricity, with a fold-down murphy bed, mini fridge, and microwave. The project is led by a group known as Infinity Fellowship, which raised over $50,000 after Rev. Jeff Carr vowed to move into one of the tiny homes until the goal was met, which took 45 days. Wow!!! Amazing extracted information. 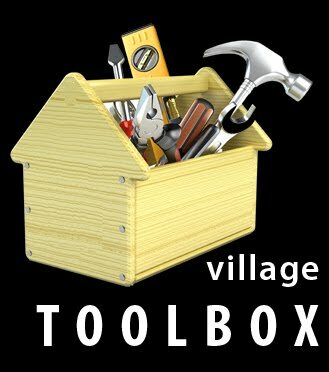 I always found your blog interesting and useful for my knowledge. You are an awesome mentor. Thanks for sharing such an interesting and informative information.